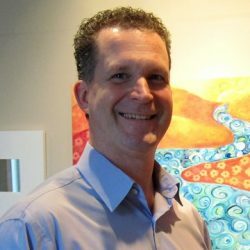 Dr. Robert Evans is a Guelph, Ontario Chiropractor and primary health care provider since 1999. He has had the opportunity of seeing 4000 plus new patients while delivering well over 200,000 treatments in that time. He graduated from Simon Fraser University with a Bachelor of Science degree (B.Sc.) in kinesiology and the Canadian Memorial Chiropractic College in Toronto, Ontario with a Doctor of Chiropractic (D.C.) with over a decade of post-secondary and continuing education in medical sciences and biomechanics; as a result, he is able to utilize this knowledge to diagnose and treat nerve, muscle, and joint conditions in a safe, effective manner. Extensive and diverse sports background includes hockey, baseball, professional motorcross and supercross racing, competitive bodybuilding, and national level speedskating. Understanding the physical and mental challenges that sports and competition presents to the competitive or recreational athlete is extremely important. Dr. Evans has over 20 years of personal and academic knowledge regarding: nutrition; diets; weight loss and gain; strength and endurance weight training; endurance, lactate threshold, VO2max, and speed specific workouts all delivering high performance results. Dr. Evans also has a love for music and the art of drumming where he plays in the local Guelph band called The Rolling Blackouts. Dr. Evans is there to help you gain control of your health through evidence based practices to better your personal performance and improve your life now, and for the future.